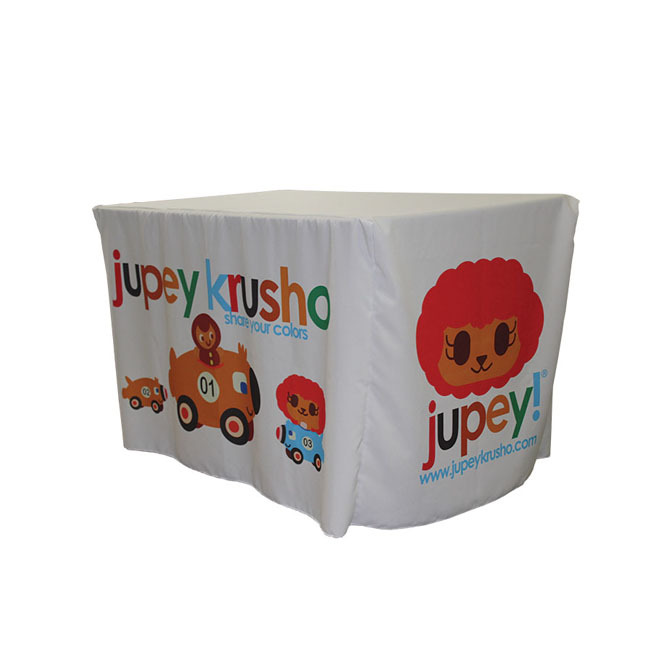 The Fitted Table Cover is the perfect option for creating a smooth, clean display on the table size of your choice. 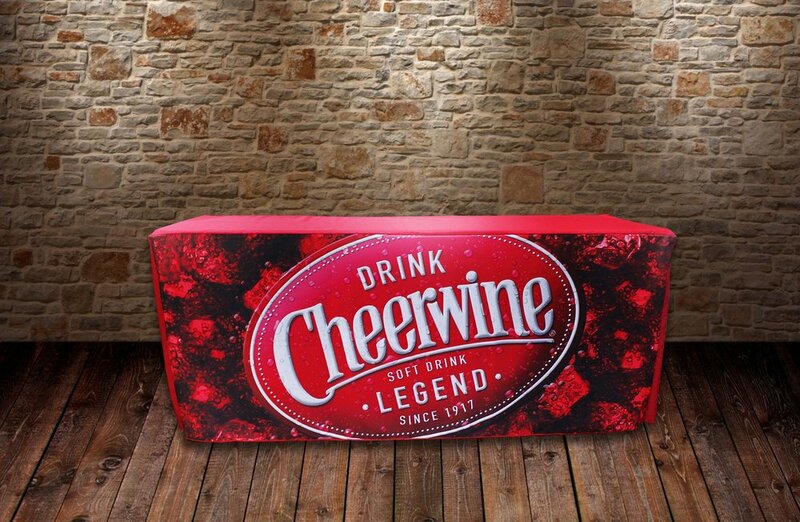 When combined with custom printing, these provide the maximum amount of display space for branding and advertising. 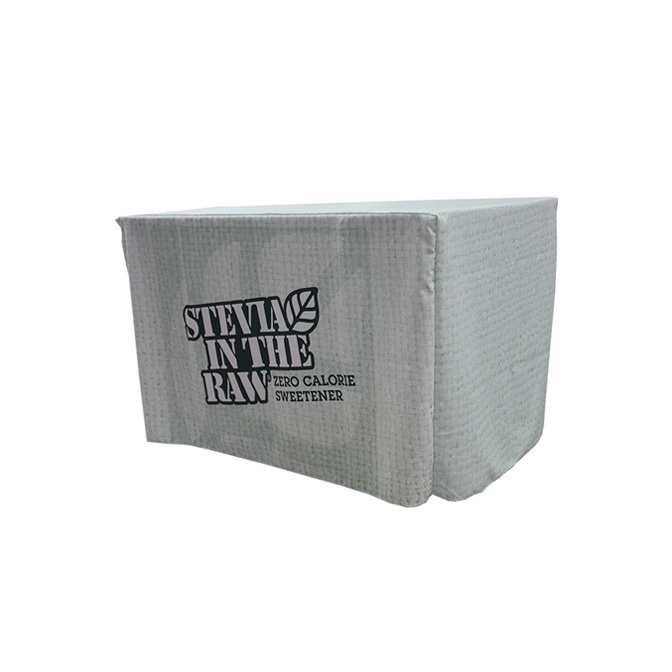 All of Celina Tent’s table covers can be printed with any designs, logos, and images at our quality printing lab, with the Fitted Table Cover possessing the largest display area of all cover styles. Images can be assembled by our design team when provided with the base logo or idea, or you can create your own using the downloadable template on our templates page. Installation take seconds – each cover is laid over top of the table and adjusted to fit at each corner location. Simply watch to make sure the logo is facing forward, and you’re good to go! Informational videos on all of Celina Tent’s table covers can be viewed on our YouTube Channel. Thanks to the fitted design, each cover lays completely smooth over and around tables when installed, giving you the perfect canvas! Because of our printing process, when covers get dirty they can be washed in standard washing machines making clean up a breeze!